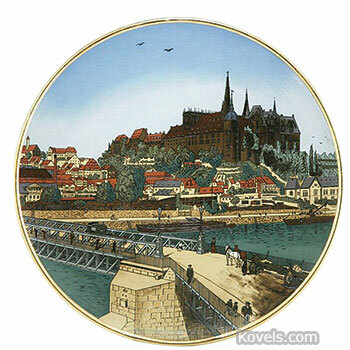 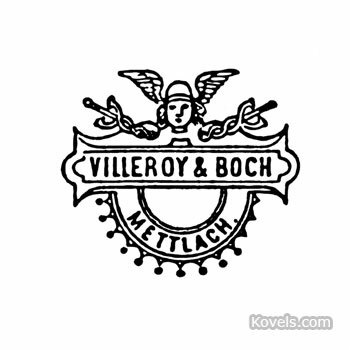 Mettlach, Germany, is the city where Villeroy and Boch worked. 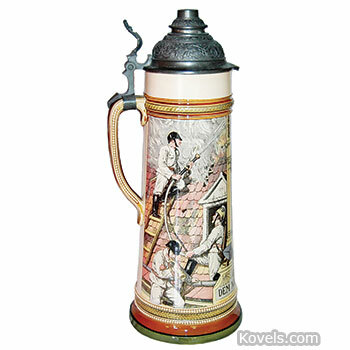 Steins from the firm are marked with the word Mettlach or the castle mark They date from about 1842. 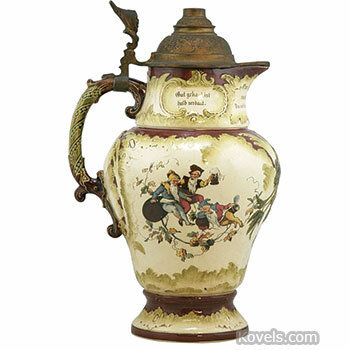 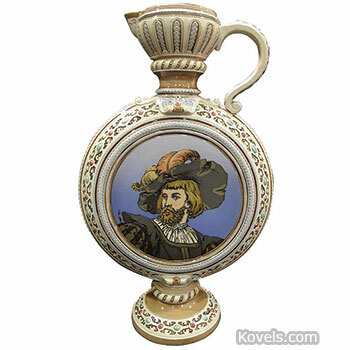 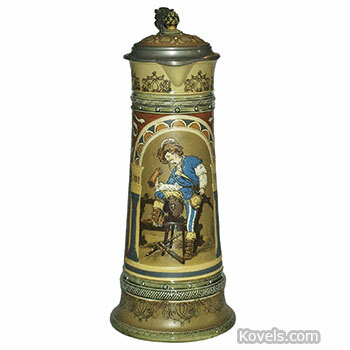 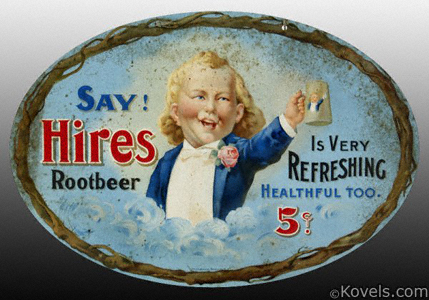 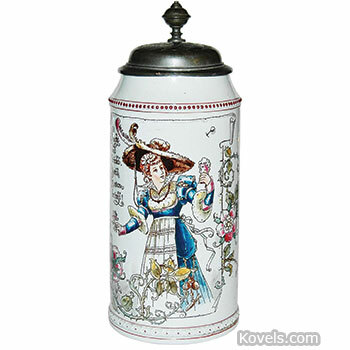 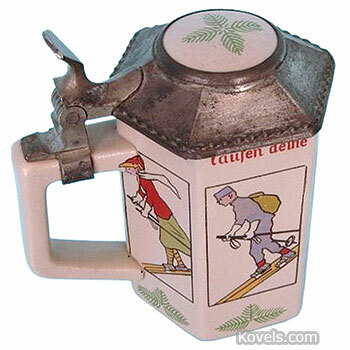 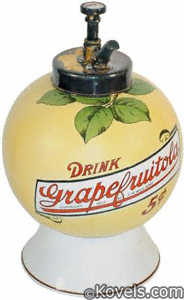 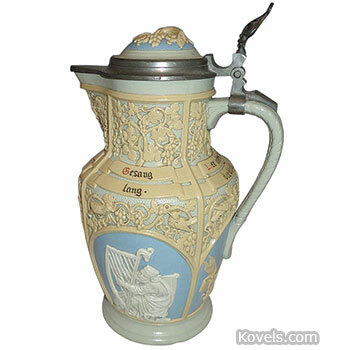 Styles of Mettlach steins include relief "tree trunk" style, etched, relief, cameo, and print under glaze (PUG)—as well as specialty types. 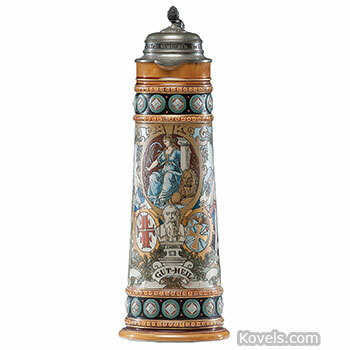 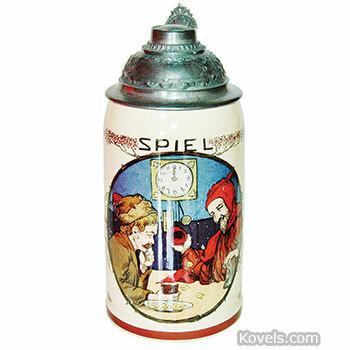 The steins can be dated from the marks on the bottom, which include a date-number code. 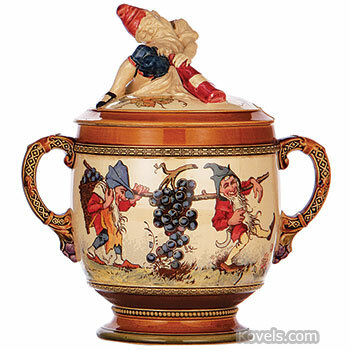 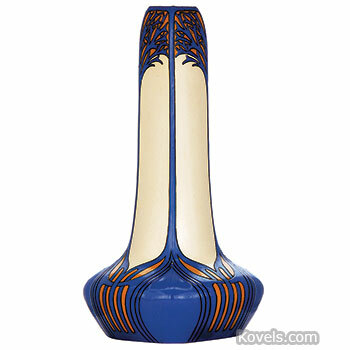 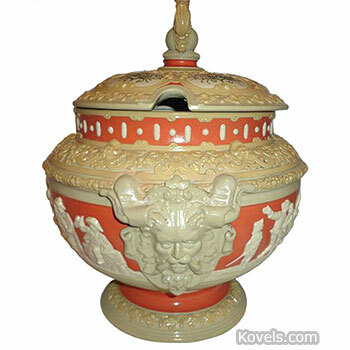 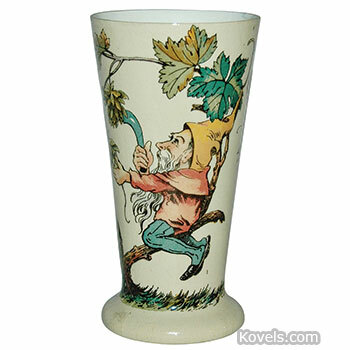 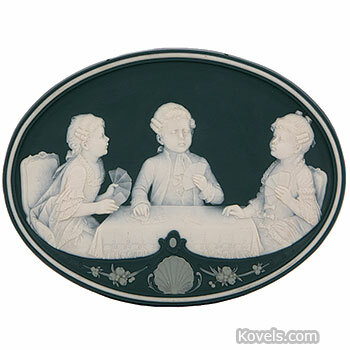 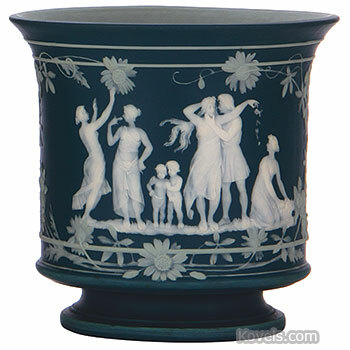 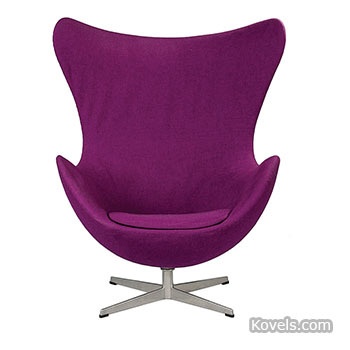 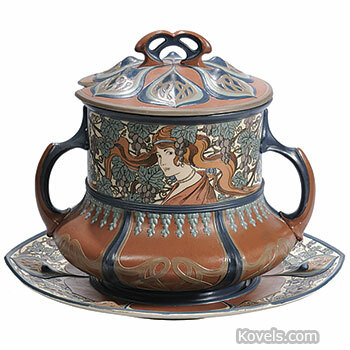 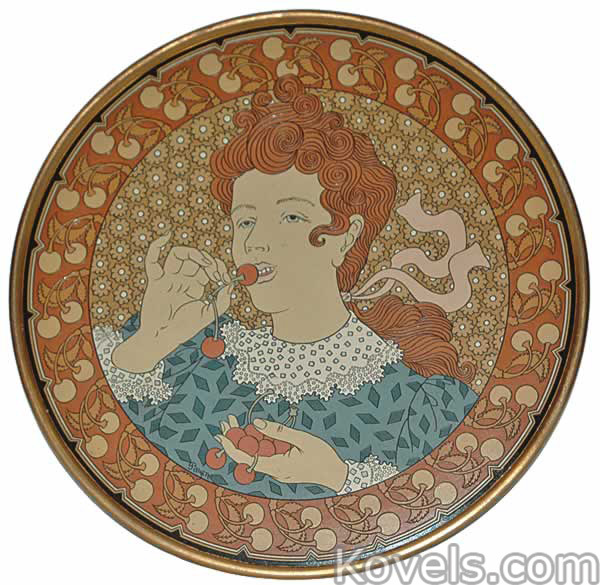 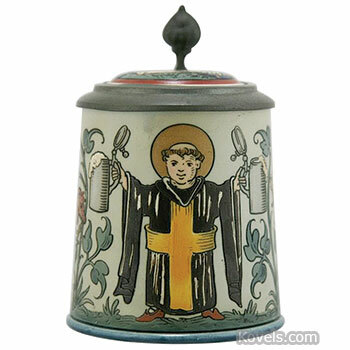 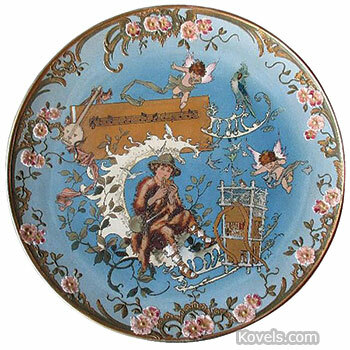 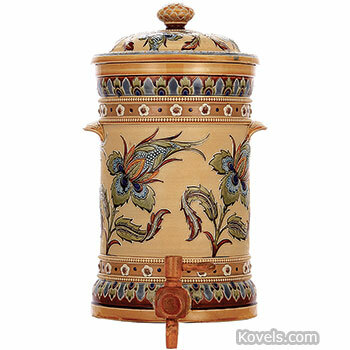 Other pieces may be listed in the Villeroy & Boch category..